Two Detroit-based brothers are making exercise (and sustainability) an integral part of their business plan for a new brewery. Shawn and Aaron Grose hope to open The Windmill Pointe Brewery next year with help from pedal power. 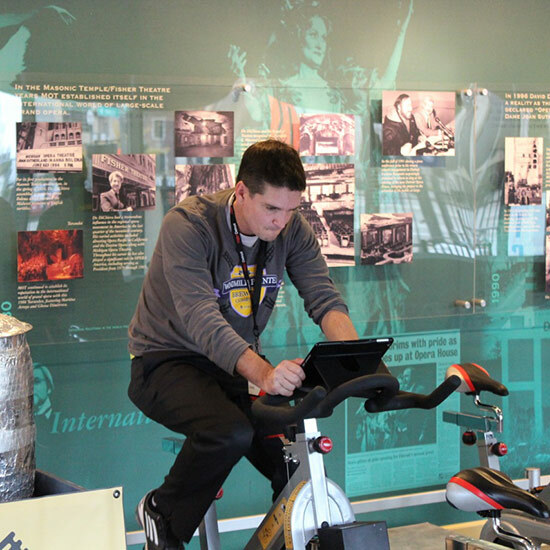 Here's how it works: the kinetic energy generated by stationary bikes gets stored in several batteries, which are connected to an electrical heating element on the brew kettle. After some aggressive pedaling, voila!, your boiling beer. The founders hope cyclists will produce enough energy for 2 to 3 beers an hour, a meagre amount, but enough to give drinkers a connection to the product and help build a community around it. Wind and solar power will help fuel the rest of the operations. Once the doors open, the pair plan to launch the Tour de Beer—a race to see who can create the most beer with prizes like pints and Windmill Pointe paraphernalia. To find out where you can try brewing by bike until then, follow Windmill Pointe’s progress on their website. They've already hosted a demo at TEDx Detroit and plan to take their operation on the road.